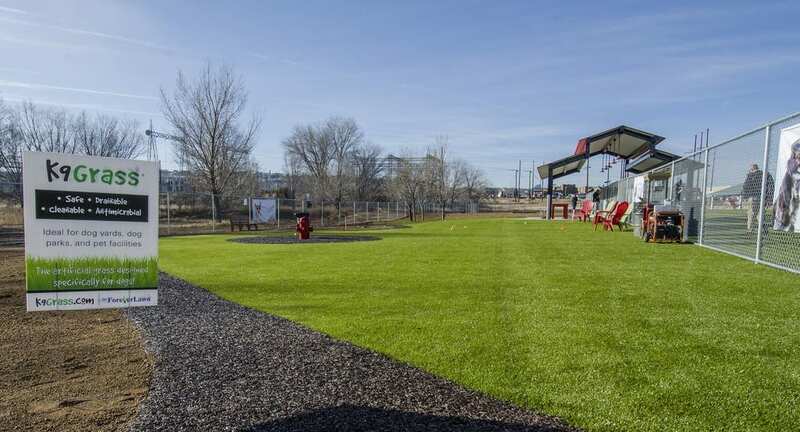 K9Grass by ForeverLawn has transformed the artificial turf industry. We aren’t just offering a product designed specifically for dogs, we created it. Throughout our years in the turf industry, we discovered that typical landscape and field products came up short when it came to dogs. The blatant deficiencies in the products created challenges for dogs and their pet parents—product failure, odors, unsafe conditions, and general dissatisfaction. Our customized product finally addressed the unique needs of dogs. Enter K9Grass in 2005—Durable. Cleanable. Drainable. Safe. While other companies have tried to copy K9Grass since then by re-labeling standard turf products, we took the industry to a new level, by uniquely designing a product to meet the high demands of a pet environment. Since K9Grass first hit the market, we’ve devoted over a decade to perfecting our product. We continue to build upon our design and prove to customers the value of K9Grass. We’ve installed five million square feet of K9Grass in a wide range of applications. 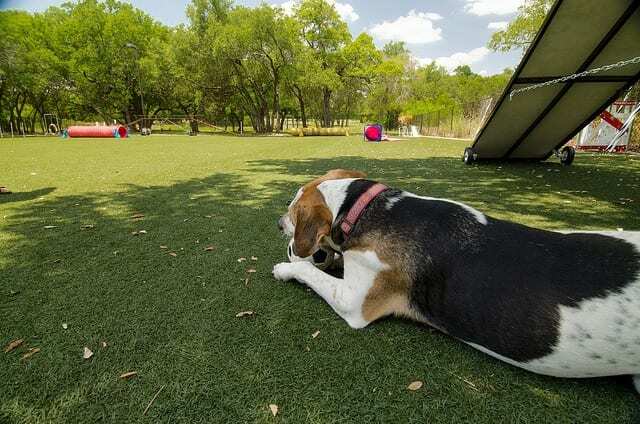 Our versatile product transforms indoor and outdoor pet areas from small back yards to one-acre dog parks and high-end commercial facilities. Thousands of satisfied clients across the globe have installed our revolutionary product. Our successful track record differs from the competition not only because we have the best product, but the best total solution. 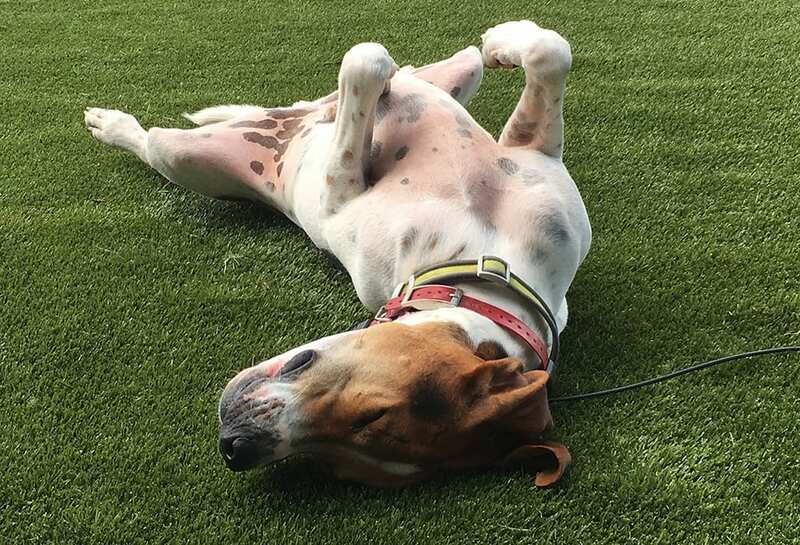 K9Grass is the first and only artificial grass product specifically designed for dogs, but it’s more than that. We offer proprietary installation methods, complete maintenance programs, and specialized systems for different applications, giving you a customized experience. It’s been over a decade since K9Grass emerged. In that time we’ve refined, improved, and enhanced our products and services—guaranteeing the best possible solution for you and your dogs. If you’re considering K9Grass, we understand that it’s an investment of your hard-earned money. While cheaper options are available, our customers choose to be smart with their money and invest in a product with a history of strong performance. Our proven track record allows you to buy with confidence, knowing that K9Grass delivers all that you are looking for and more. In addition to investing in a product with proven success, you are investing in a product that will continue to give back over the years. K9Grass is a low maintenance surfacing solution that will greatly reduce the amount of water you use on your lawn. Plus, there are no fertilizers or chemicals needed to maintain the turf like there would be with natural grass. So not only are you saving money on water and supplies, you’re saving the environment one lawn at a time. As a commercial investment, K9Grass has so many benefits to offer to your customers and their beloved dogs. Not only will the turf attract new customers, but it will help retain existing ones as well! Smart people make smart choices. Join the thousands of people who have chosen K9Grass. You’ll be glad you did. Contact us to get started with your project or to learn more about K9Grass.